This unit builds motor skills and coordination This safe and fun inflatable a party crowd favorite from toddlers, to teens to adults! This obstacle course has 8 activities in one unit. 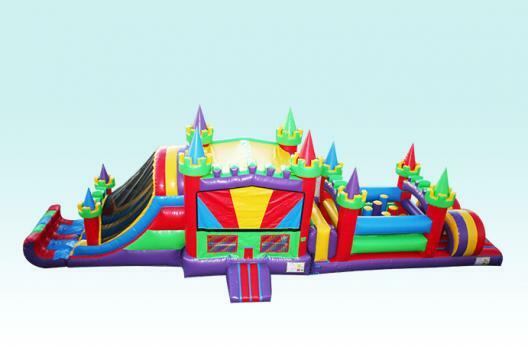 A large bouncing area, a pop-up obstacle course, a basketball hoop and an attached 12′ foot inflatable slide. Since the slide is very long we went an extra step and installed a protective Sun Shade cover over the slide area for comfort and protection during warm summer days. 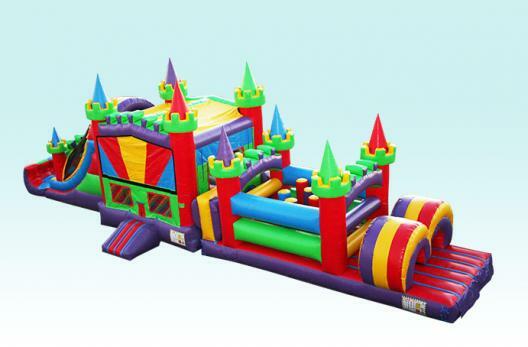 Mega Obstacle Course Bounce Slide Combo is the ultimate party attraction.We can provide FREE art panels that can be added to the front of this bouncy castle to match your party theme. Setup space Required: 60′ x 20′ rectangular. 15 Feet Tall. Due to the size and weight of our Mega Obstacle Course and Bounce House Slide Combo, we need know if there are stairs, steep hills, rocky terrain, narrow entrances, or any situations that require extra labor on our behalf. 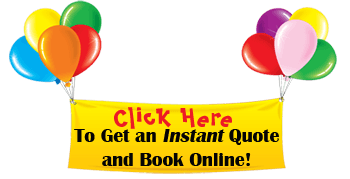 In addition to Bouncy House Rentals in Westchester County, NY, we also offer our Party Rental services in The Bronx, NY and surrounding areas.